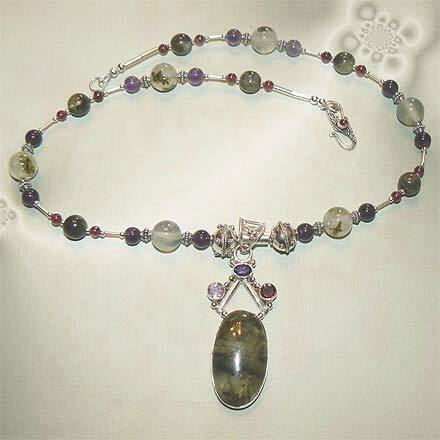 Sterling Silver Prehnite, Amethyst and Garnet Necklace. See Closeup. 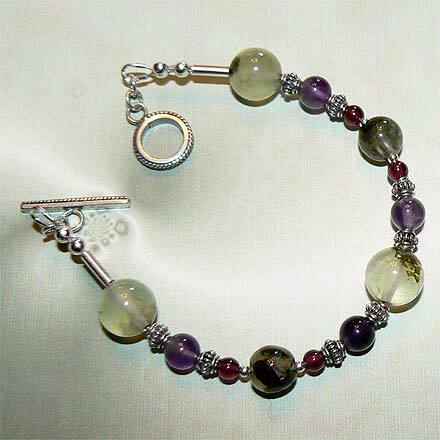 Sterling Silver Prehnite, Amethyst and Garnet Bracelet. An amazing glow and mysterious inclusions are to be found in Prehnite, an unusual and not so well known semi-precious stone. 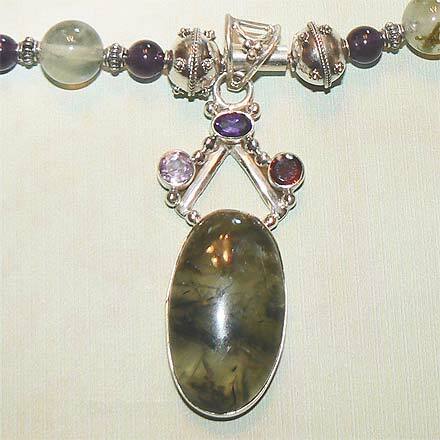 Pieces are embellished with Amethyst, Garnets and ornate Bali Silver. Necklace comes with a Garnet clasp. For those who are interested in Astrological significances of stones, Amethyst corresponds with Pisces and the month of February, and Garnet corresponds with Capricorn and Aquarius and the month of January.